Its true, we changed our initial plans and decided to avoid the full moon parties of the Gulf of Thailand in favour of the islands on the Andaman Coast. Now I know many of you must think were crazy to miss out on the biggest beach party on the globe and to be fair your probably right but as boring as it sounds our decision came down to financial reasons. Its a well known fact that Christmas and New Year mark the height of peak season both in terms of the number of holiday makers and the cost of accommodation, food, drink, etc. 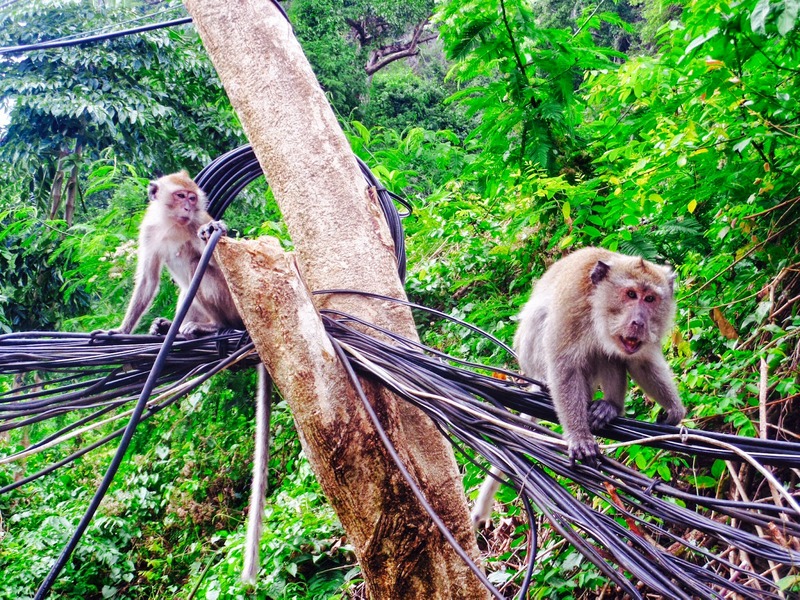 After some quick calculations we discovered we could cut our costs substantially by heading to Krabi and Koh Lanta (hostels cost around £6-7 on the Andaman compared to £14-20 on Koh Phangan, Koh Samui and Koh Tao). When your travelling long distances on a limited budget you have to keep one eye on your expenses and accept the cruel reality that you cant see everything. Unless some catastrophic global warming event occurs the party islands in the Gulf of Thailand will still be around for some time and who knows they may fall onto the path of a future adventure. 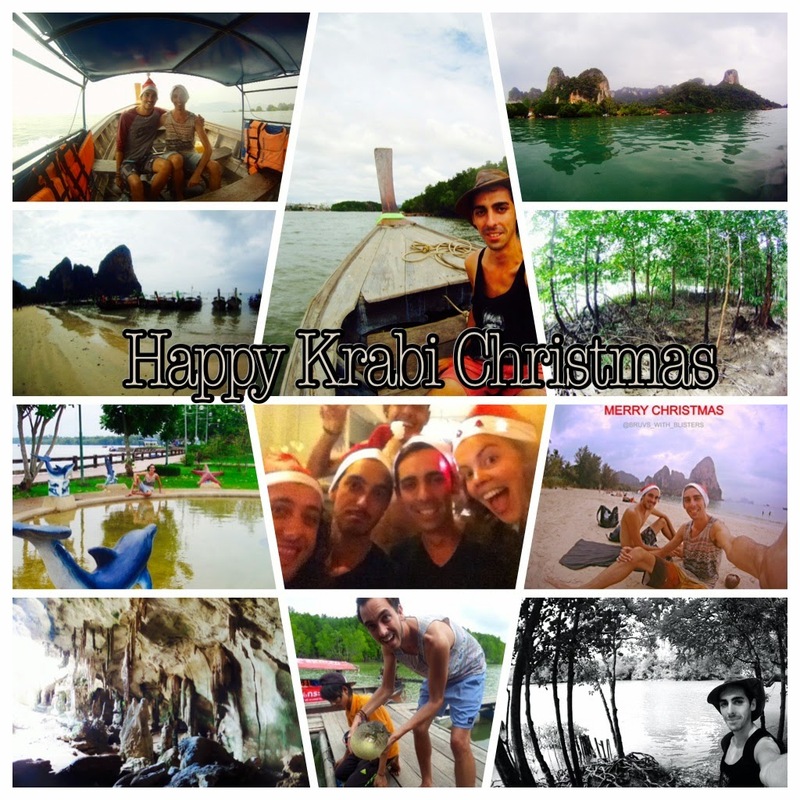 We arrived in Krabi on Christmas Eve and its fair to say our first impressions didn't fill us with confidence. At a glance Krabi is about as stunning as the name suggests. If you live in the UK you know there's a reason places like Slough, Grimsby, Scunthorpe and Shitterton aren't at the top of the tourist hit list. Its because people hear the name and immediately know they have no chance of seeing any history, culture or wild beach parties. Actually Shitterton is a nice hamlet in Purbeck, Dorset but it does have a funny name. We stayed at the Pak-Up Hostel in the centre of town. Pak-Up is one of the more popular options for accommodation amongst backpackers and for good reason. The dorm rooms are fitted with decent air con, the beds are comfy and the hostel has two separate bars (one out back and the other on the roof). So plenty of scope for a good night on the piss. Despite the promise of party antics Jono and I both had mixed emotions of excitement and sadness. This was our first ever Christmas away from home and despite the locals efforts to bring a yuletide feel to town its hard getting into the holiday spirit when its 30 degrees, no Slade, Shakin Stevens or The Pogues blasting out in the bars and the closest thing to a turkey roast is Crab Pad Thai. Frankly the bruvs were homesick. Secondly we had spent the two and a half weeks travelling Thailand and were yet to find a single like minded traveler willing to travel in convoy with us for a week or so. This was incredibly easy to arrange in Vietnam, Cambodia and Laos but not here. I think it has something to do with the type of travelers around this time of year. The lonely backpackers are replaced with families and couples on fortnight long holidays and frankly the last thing they want to do is befriend two lanky guys who have been living out of a rucksack for seven months. We needed some travel companions. Luckily this is the season of surprises and our prayers were answered within a couple of hours in the form of two familiar faces. Once again we bumped into Ed and Dora who we travelled with in Laos and they just so happened to be heading south threw the islands after a short stop in Krabi. Ed and Dora you saved our Christmas and we will be forever grateful. After a messy night we decided to cure our hangovers with some sights and surf. The cultural sights of Krabi are limited to a statue of a crab and Wat Tham Seua which offers a decent view of the towns concrete structures. Thankfully the disappointing list of sights are balanced out by the surrounding area which is dominated by stunning Karst mountains similar to those we visited in Southern China, North Vietnam and Central Laos. If you want to get away from Krabi there are many local ferrymen by Khong Kha Pier which offer transport to Railay beach (150 baht) or an hour loop around the mangroves. The ferry guys can leave you waiting for quite a long time as they only depart for Railay with a minimum of eight passengers but the delay is totally worth it. Railay occupies a peninsula region a few kilometres North-West of Krabi. The beautiful limestone cliffs that cut off the beach from the mainland attract many rock climbers and its not unusual seeing people wandering along the beach with an array of ropes and gear. The beach was busy when we visited but remained easy on the eye and peaceful enough to chill out. A great way to spend Christmas day. The mangrove tour is a good way to spend a hour with stops at a small cave and a floating fish market with an array of local specimens from snapper to spitting fish. You can even pick up a puffer fish. If your looking for a meal there are plenty of restaurants and cafés but the cheapest and freshest food can be found at the food court by Khong Kha Pier every evening. The crab is exquisite. 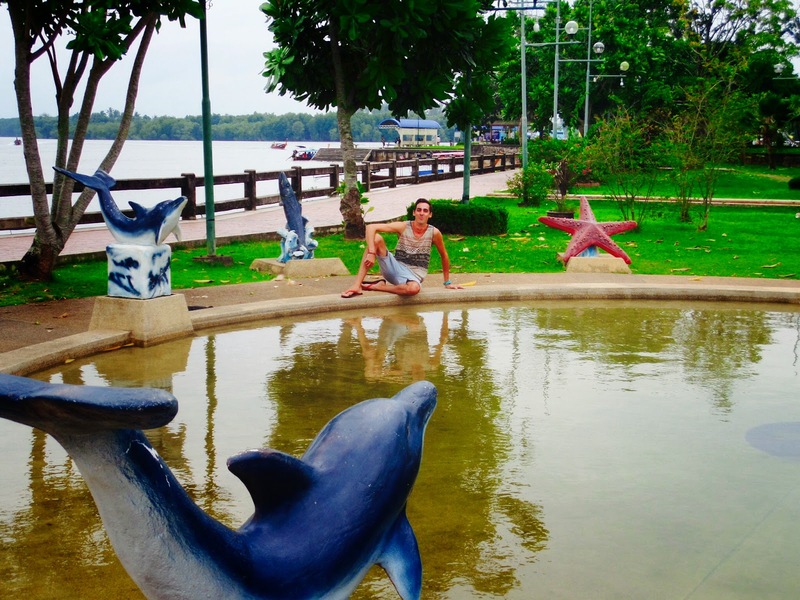 All in all Krabi is a good place to spend a few nights before heading to the more popular islands. Its not pretty but practical as a base to explore the best mother nature has to offer.